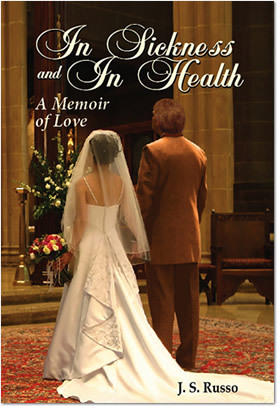 In Sickness and In Health: A Memoir of Love is a true story involving two people that fate brought together. Describing their lives before and after Sue became afflicted with cancer, it shows how a couple handled a dreadful diagnosis and how the bond between them became even closer throughout their cancer journey. It reveals how as a team, they fought this disease head-on without flinching; fighting and clawing right back at it. It is a triumph of human spirit and an inspiring story of courage, compassion and love between two people who asked for nothing more in life than to have each other in it. Above all, this is not a book about loss but of gain. This is not a story of sadness but a story filled with undiminished hope…yes, hope that confirms …it is a wonderful life… when we stay focused on all that is good. This book will make you laugh, cry, but most importantly, it will inspire and move you forward in your life no matter how bad things get at times. Its message is one of hope, optimism and love. It is the story of Sue's and my life together. We were married for 29 years and our wedding vows meant a lot to us (thus the title…by the way, I never used the word thus until I became an author!) Even though our story didn't end the way we had hoped (Sue passed away 2005) we still managed to stay in and play the game of life at a very high level. That is the underlying theme of this book…enjoy what you have in life, friends, family, the nature around you and soak in every minute you can because no one knows what's around life's next corner. I grew up in Brooklyn, NY under the Italian wings and watchful eyes of two wonderful parents, moved out on my own for a while, met the girl of my dreams, got married, and then started a family and new life out in the ‘burbs on Long Island in Oceanside. I have lived a charmed life and am thankful for everything that it has to offer. In Sickness and In Health: A Memoir of Love allows you, the reader, to share in my and my wife’s experiences. Some of the events I wrote about in the book that occurred in our lives were hilarious whether Sue was afflicted with cancer or not. Not only is laughter good for healing and good for your soul, it allows you the time to escape…for maybe a moment, and if you’re lucky, maybe longer. Sue and I did our very best to live by this credo; after all you get only one shot here…make it a great time! "I found In Sickness and In Health to be an amazing story, well written and extremely moving. I’ve been ‘there’ and can relate to your experiences. Your book is powerful and will no doubt inspire others to fight through this horrible disease." 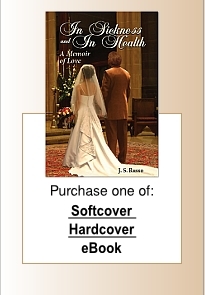 "This memoir exhibits the unconditional love between a couple with a passion for life, as they travel down that ‘long and winding road.’ It will really make you believe that ‘it is better to have loved and lost than never to have loved at all." "To share their journey through Joe's beautiful and sensitive writings is very special! He not only reflects on the medical aspects, but also on the incredible relationship they shared together as husband and wife, and best friends. Throughout their journey, they continued to give each other the strength, at times the tenderness and humor to meet each challenge. 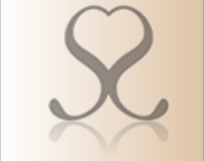 Joe, may all my patients have the unselfish support, devotion, and love that Susan had from you." "In Sickness and In Health: A Memoir of Love" is a tender love story about one couple's journey through the maze of breast cancer and the war they declared against it. It is at times humorous and uplifting with accounts of zany, madcap events, juxtaposed against the frightening diagnosis, treatments and the recurrence of cancer, and how through it all, their undying love for each other prevailed and even flourished. It is a story of Sue and Joe, two courageous, intelligent, and loveable people trying to live a normal family life filled with hope and joy, despite the heart wrenching diagnosis and the inescapable end that would surely come." "Your story is beautiful and heart wrenching. The love that you shared with Sue was an incredible thing to read about-it seemed to me to be the kind of love that everyone dreams of having. You have an incredible voice and power in your words. At times, your prose grabbed my heart and would not let go, while other times you made me laugh out loud."